and believe that the method we use today works much better. 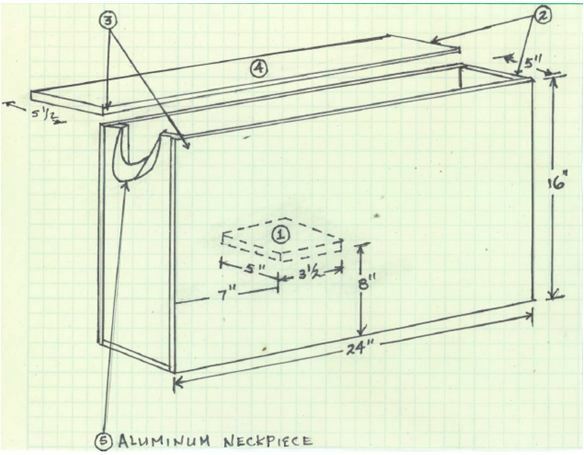 But, many folks still utilize a disbudding box and need goat disbudding box plans, so we’ve kept the plans here for reference. Many people are surprised to learn that most goat kids (except the few that are naturally polled (hornless)) start growing horns a few days after they’re born; but that most people don’t want their goats to have horns. So, the horns are typically removed when the kids are babies using a process called “disbudding”. Horns can damage fences, barns, mangers, etc. Disbudding is generally done to kids when they are 3 – 10 days old, depending on when the horn buds break through the kid’s skull (bucks generally need to be done sooner than does). It’s done by using a hot iron to cauterize the area around the horn bud so that blood can’t flow to the horns and make them grow. 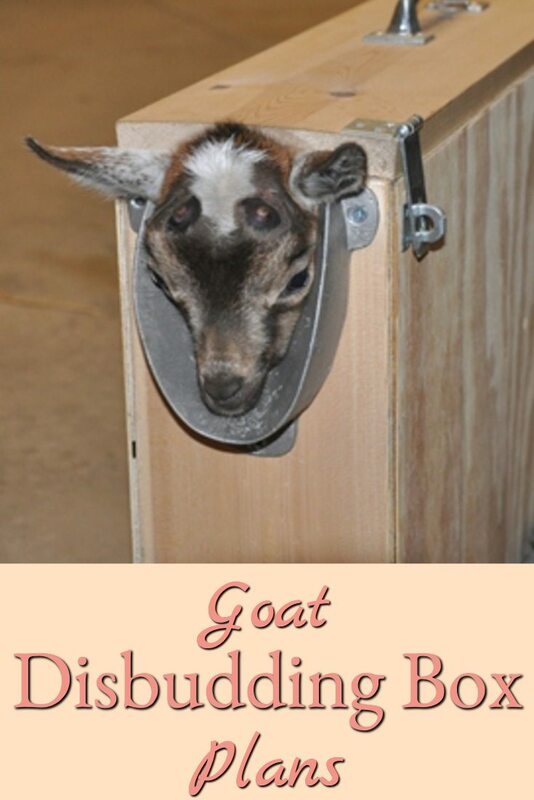 My post on disbudding (Disbudding Goats) describes how we originally learned to disbud goats, and for that process, a wooden “disbudding box” is an essential tool. It keeps the kids relatively still during the process. Here’s an easy to build goat disbudding box plan – the picture down below shows the finished box with Bramblestone Ruby inside serving as a model. Assembly of the box is fairly straightforward and the photo above shows how it should look when finished. The disbudding process isn’t difficult, but’s it’s painful to the baby goat (kid) for the few seconds it takes to do it (so they certainly don’t want to hold still) and it can be difficult without a box like this to contain the kid. 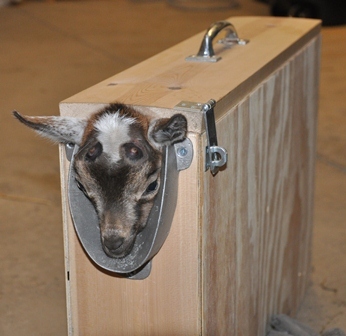 The box shown in the plan can be used for either standard or miniature breed goats. It’s my least favorite chore associated with kids and is one reason we’ve started to bring polled genetics into the Bramblestone Farm herd. Thank you so much! Find out so many wonderful things every time? ?